I woke up at 4:30 am to dress and pack my bags. Lightning lit up my little room as I prepared to leave. With a hesitant spirit, I left the medieval hotel into a torrential downpour as I made my way, alone, through those ancient streets. Would I encounter the ghosts of St. Francis and his little band of tattered monks….? His face was wet with his own tears as Francis of Assisi stood before the people of the little town of Greccio one Christmas Eve long ago. With great tenderness and humility, he told them the story of the first Christmas. 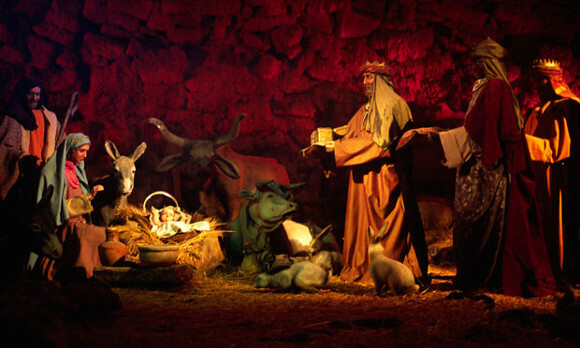 Behind him was a cave with two of the village people dressed as Mary and Joseph, and a wax baby representing Jesus. An Ox and donkey stood beside them. Mary was bending over the baby lying on a bed of straw. Francis turned to behold the love of his life, the Babe of Bethlehem, and he fell down in weeping adoration. 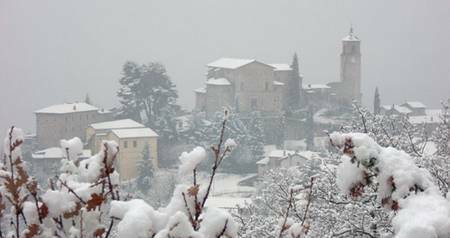 Greccio, a little town in Umbria, had experienced the extraordinary that Christmas eve in 1226. 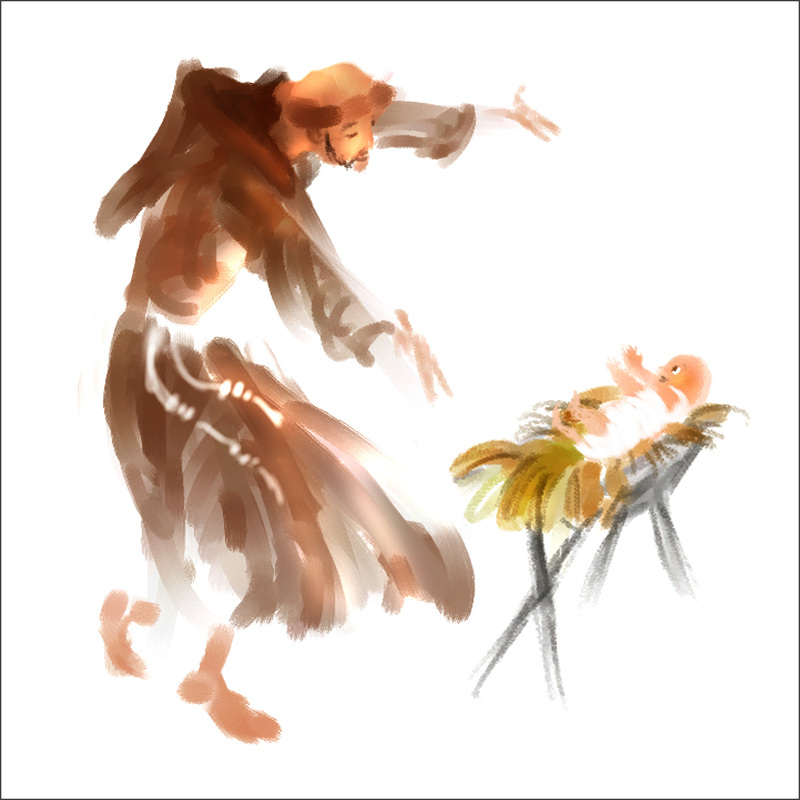 St. Francis of Assisi had assembled a live nativity scene in a cave on the outskirts of town to show the humble birth of Christ. The townspeople gathered around, full of wonder and expectation. Prior to this, mass on Christmas eve was spoken in Latin, which the people could not understand. As the hay was gathered up later and fed to the animals, a miracle occurred. The cattle were cured of their diseases. 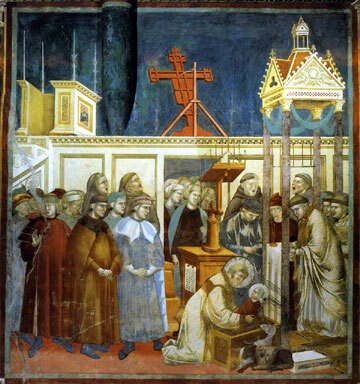 The people believed that God had honored his servant Francis. Francis encouraged the people to reject hatred and embrace love, with the help of God.Whether you remain a sceptic or not, the message of St. Francis resounds with hope for our individual worlds as well as the one we all share. May his words echo down through the centuries once more and minister to our hurting hearts the true meaning of the love that entered our dark world two thousand years ago. Imagine two rival families in the same village fighting for supremacy, leading to a period of enmity for over two centuries. Not unlike the Capulet’s and Montague’s of Romeo and Juliet, the Fiumi and Nepsis families from 1300 Assisi did just that. Today it is re-enacted, although in a much more neighborly way, which culminates toward the end of the Calendimaggio. A most worthy event, the Calendimaggio was originally an ancient celebration of Spring May Day. Today it is a three-day festival held the first Thursday, Friday and Saturday of May. Traditionally, the festival is dedicated to St. Francis, since he was known to be a poet, troubadour and dancer in his youth. Locals carry on by dressing up in lively and colorful medieval costumes while putting on three days of festivities and competitions with love songs, games and events. Groups of revelers serenade throughout the streets of town, bringing a spirit of romance and chivalry. The long-standing rivalry between the warring families is a more recent historical addition to the festival. Deep divisions were created and hatred continued until the mid 1600’s, when the Papal Governor, Giovanni Andrea Cruciani, organized the town into three districts. As a result, the hatred slowly gave way to harmless rivalry, making the Springtime ritual develop into a playful contest between the two rival sides. Peace and Friendship celebrated the annual Return of Spring. 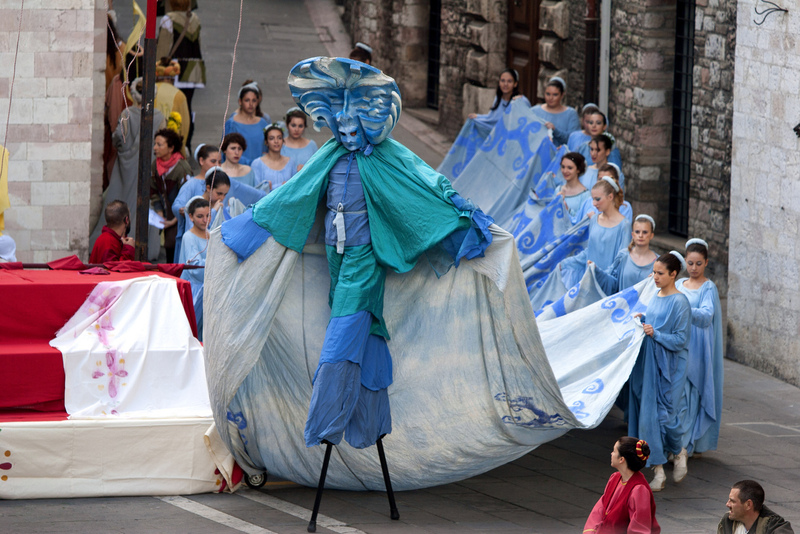 A Festival Queen is chosen through an animated contest of medieval games, held in the Piazza del Commune, the main piazza of Assisi. Flag throwers show off their expertise as Minstrels sing troubadours songs to the new Queen. Illuminated by torchlight, the games and contests continue. Parades, floats, and animated dancing flow throughout the flower-strewn cobbled streets of Assisi. Welcome to Calendimaggio…it’s time to celebrate! The festival leads to the famous Palio, a contest between the two neighboring districts of Assisi. They are the Magnifica Parte de Sotta and the Nobilissima Parte de Sopra. This event mirrors the centuries old feud between the Fiumi and the Nepsis families. 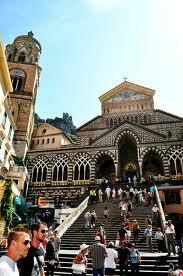 Archery, Crossbow and Chivalrous contests thunder throughout the Piazza del Commune. The two opposing sides perform amidst a spectacle of color and flurries of banners. A sporadic drumroll keeps the tension high. 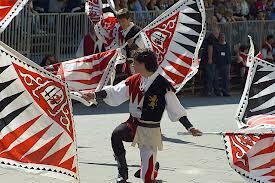 The grand award is called the Palio, a banner the prevailing “Parte” will keep for a year. 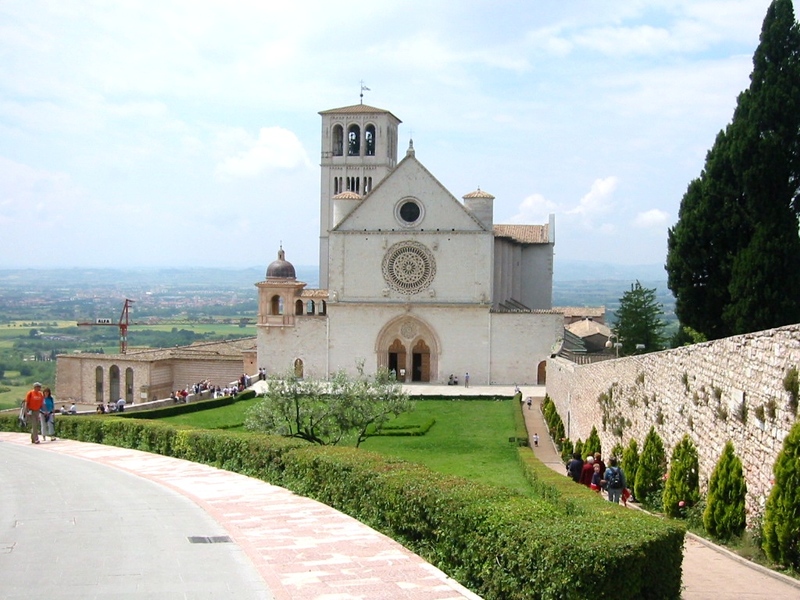 Calendimaggio is Assisi’s only secular celebration even though the banners, at the beginning of the festivities, are blessed in the churches. On the final eve a panel of judges, composed of historians, directors and musicologists, award the team that displays the best interpretation of celebrating the return of Spring. All done in good jest, the festivities are capped off with feasting and well-wishing. Until next May, the winning team reigns as supreme. 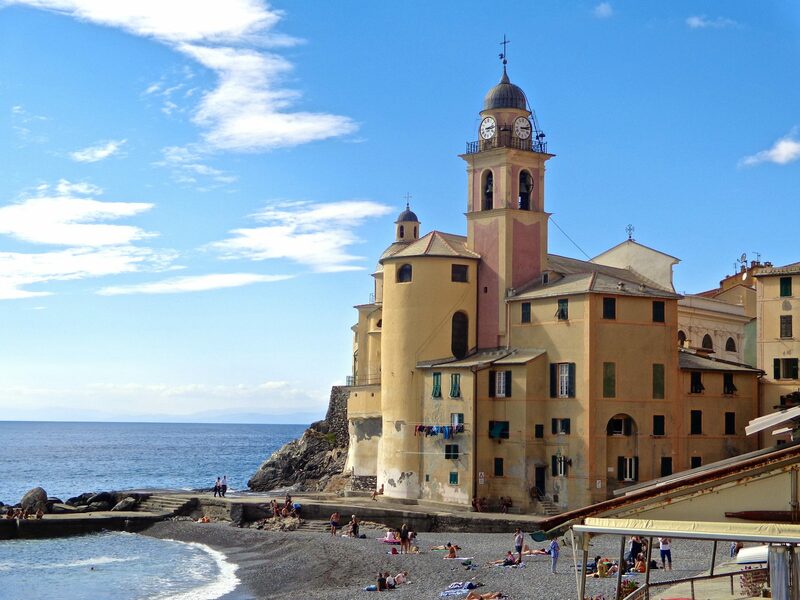 Announcing the New monthly Newsletter for Timeless Italy. I’m excited to share tidbits of Italy, from Travel Tips to History, Politics, Fashion, Food & Wine, Art, and Culture. Plus a monthly calendar of upcoming events. Sign up to receive your monthly Newsletter today!